Get your world tour of flavours off to a good start thanks to our selection of oils, vinaigrettes, peppercorns and other spices. Just the way to add a dash of the exotic! world – there’s no better way to enchant those diners looking for some originality. 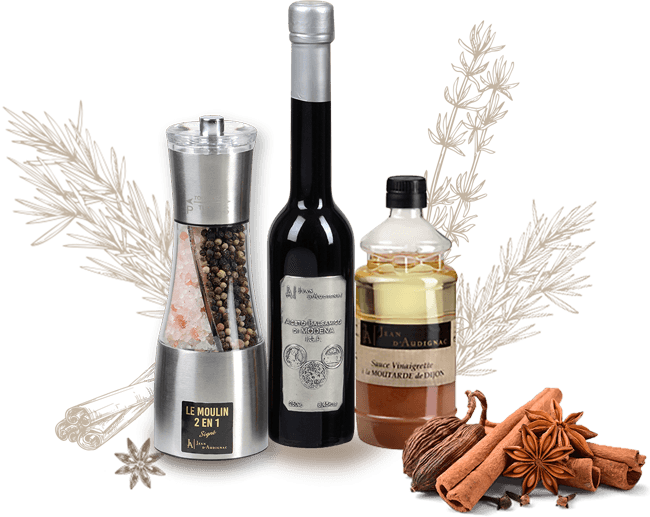 For a gourmet seasoning, we recommend our Modena IGP balsamic vinegar. Create a stir on table tops with crafty salt mills and oil and vinaigrette pourers, as well as unexpected peppercorn combinations.